Instructions: Dry scallops in paper towels. Heat oil in medium saute&apos; pan until smoking. Sprinkle salt and pepper on scallops. Put scallops in hot pan and cook until they develop a brown crust, then turn over and repeat. Remove to dish. Add lime juice to pan, swirl and pour over scallops. Top with cilantro. 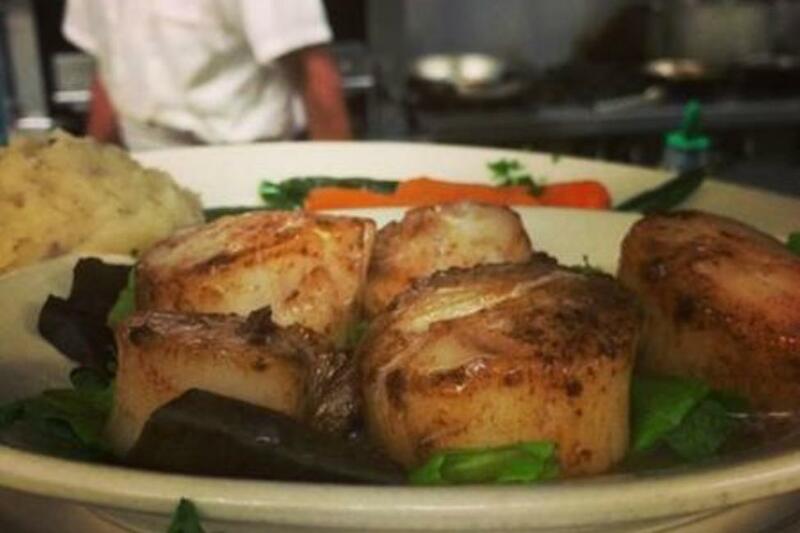 Note: scallops are best when seared on the outside and raw on the inside. Serves two.